Digital banking has unleashed the power of transacting with a bank anytime and from anywhere within the framework of banking regulations, compliance and security. 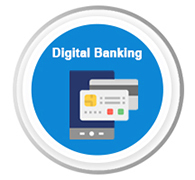 Learn more on Digital banking, how it’s adapting to the changing customer behavior and why should you consider Digital Transformation for your banking platform in this insight. The banking industry is going through a dramatic change primarily because of changing expectations from the customers, advances in technology and increased competition from the fintech start-ups. The 2008 crisis decreased the levels of trust in traditional banking and increased churn among the customers. Integrated and enhanced customer experience, reducing the transaction/processing times, increasing revenue and reducing costs are the prime drivers coupled with the need to overcome the challenges mentioned above is why more banks are adopting Digital transformation. Let’s take a look at what does Digital transformation of a bank means. Providing responsive and consistent customer experience across all channels. Customers loyalty and engagement is greatly enhanced when customers get a seamless, flexible and responsive experience while transacting with a bank, be it looking at marketing content, opening an account or performing a financial transaction. Banks need to ensure that they provide a quick, customer-driven digital experience across web, mobile, paper, SMS, and retail channels. In most of the large enterprises, the customers often have multiple products and relationships which leads to customers having different online identities across these products. Having a Single sign-on across these products yet keeping the customer experience in context with that specific product greatly enhances the customer experience. Creating API layer to provide banking services to internal and external consumers. Digital experience is beyond just the User interface. Providing a secure and flexible API layer helps banks make its platform interoperable with multiple internal as well as external systems, thus increasing the adoption. Defining the correct API strategy and architecture is at the heart of Digital Transformation. Banks need to improve the interoperability by ensuring that they adopt industry standards such as IFX or BIAN. This is where most of the banks struggle due to the dependency on legacy processes and tools. Automating the processes does not only require adoption of new technologies in the robotics and AI space but also looking at the business processes itself and reengineering them to align with the new Digital business models. RPA and AI definitely add value once the business processes are optimized. The use of Chatbots reduce the work on back office and saves the operating cost. Over the years the customers have engaged with the banking organizations through multiple products. This has created multiple and different data records for the customer within the organization which creates issues like sending duplicate communication to the customer or sending multiple offers to the same customer. Having an effective data analytics and API strategy helps the banks get a comprehensive single customer view across all products and channels. The more the banks understand their customer profile and behavior the better the servicing and marketing ROIs. While there is no push back from the banking industry to adopt the Digital Transformation, it is an extremely challenging task to achieve a successful Digital Transformation. It requires meticulous planning and executive support to achieve a successful Digital Transformation to overcome the challenges of legacy processes and platforms. An effective strategy, architecture, and roadmap can help the banks achieve a successful Digital Transformation without impacting the customers and ongoing operations. Know more on how Innovecture Digital team is helping Fortune 500 financial services client achieve this Digital transformation for their banking platform. A business model that provides an integrated customer experience while prioritizing high security can be the true measure of a successful Digital Banking solution.